the surprising upstart Huskies of Tech. At the beginning of the season many may have looked past this series at MTU. But the Huskies have put on a show for their long loyal fans staying at the top of the WCHA and near the top of the polls. This will be a quality non-conference weekend for both teams, especially if one of the teams can pull off a sweep. In this streak for the Bulldogs, success starts with aggressiveness on the forecheck. 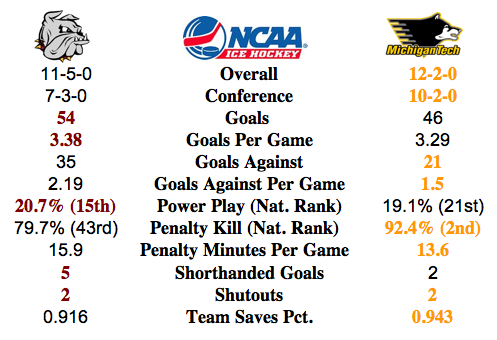 Michigan Tech is flexing muscle on defense holding opponents to 1.50 goals per game in 14 games. Even in their two losses, they only game up two and three goals respectively against Minnesota State – Mankato. A strong forecheck like that of UMD’s is just what can break a defense like Tech’s. The factor that allows the Bulldogs to go hard onto the offensive zone is the strong goalie play and Kaskisuo and his 0.922 saves percentage. Aggressive offensive play gives up odd-man rushes and the goalie has to be trustworthy. Kaskisuo gives UMD the chance to play aggressively. Some of the beneficiaries of the backstopping success includes 10 goal scorer Dom Toninato and Austin Farley who now has the most points in NCHC play for the Bulldogs with 10 (4 goals, 6 assists). Most noticeable is defensemen can jump up into the play more and that is not more evident anywhere than in Andy Welsinski’s play this season. Currently leading UMD blueliners with six goals and assists for 12 points and a +11. Nationally Welsinski is the second leading goal producer of defensemen and tied for 16th in points. Again, more evidence of confidence in the players behind him to be jumping up into the play and making the most of his opportunities. Out of the Box Thinking. Bulldog penalties on the decrease. What a wonderful statement for UMD fans to hear. And with less penalties have come more wins. 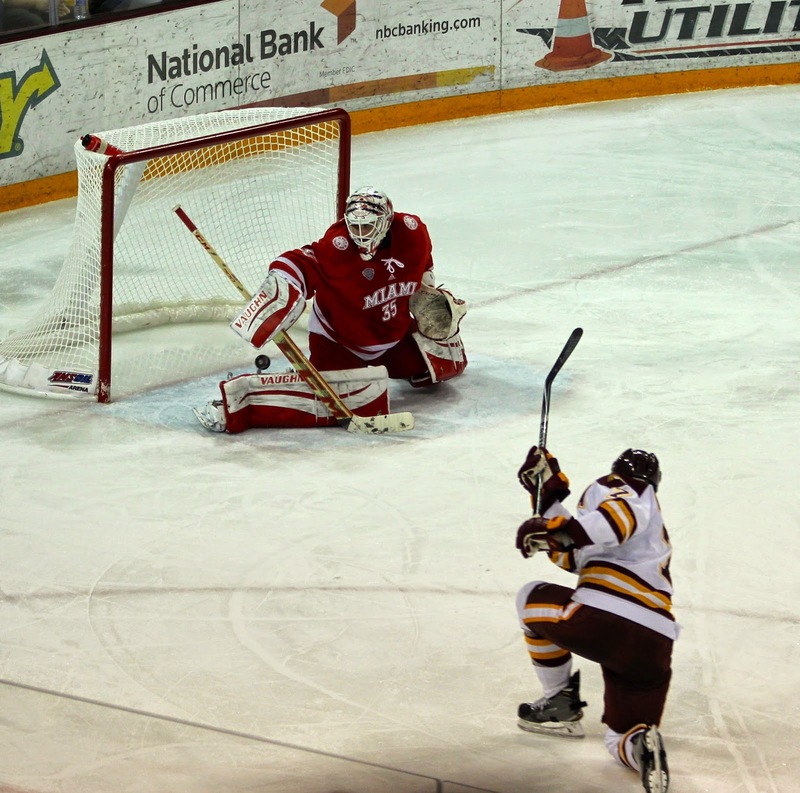 In UMD's last seven games, the Bulldogs have been the lesser penalized team in the game. And in UMD's last four, their most penalized game was four penalties for eight minutes. With the current win streak coinciding with the decrease in penalties, there is no coincidence. Picks by @afiskness. The Bulldogs sweep last weekend of the Colorado College Tigers has moved them into a tie for first place in the NCHC with Miami Redhawks. Last Friday's game shows maturation of this team by coming back after being down by two goals. They should not have come out cold against the Tigers which is a little disconcerting, but they never panicked and got the comeback win. 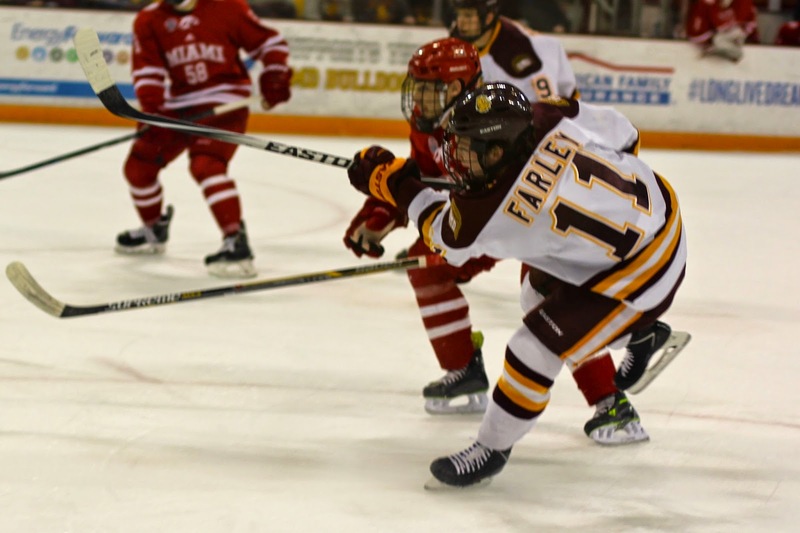 During the Saturday night game the Bulldogs toyed with Colorado College in the convincing win. This makes the Bulldogs 8-1 in their last nine games. #9 Minnesota Duluth @ #4 Michigan Tech: This should be a great Series at the McInnes Student Ice Arena in Houghton. I like the matchup for the Bulldogs. The Bulldogs play good on the road and if they continue to stay out of the box they could get a sweep. Right now I am leaning to a split. Colorado College @ Western Michigan: Both of these teams are not ranked and are at the bottom of the NCHC. The Broncos are looking to restart the engine for some goal scoring and the Tigers are likely to provide. The inconsistency for both teams will result in a split. St. Cloud State @ #12 Nebraska Omaha: The Huskies are not meeting preseason expectations wherewas the Mavericks have been playing well balanced hockey. This looks like a split, but I am going with a Mavericks win and a tie. #1 North Dakota @ #11 Denver: These are two well balanced teams who are both playing really good hockey. Both games will be hard fought probably with a bunch of penalties. Split.